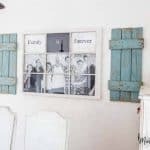 Want ideas for decorating the outside of your home on a budget? 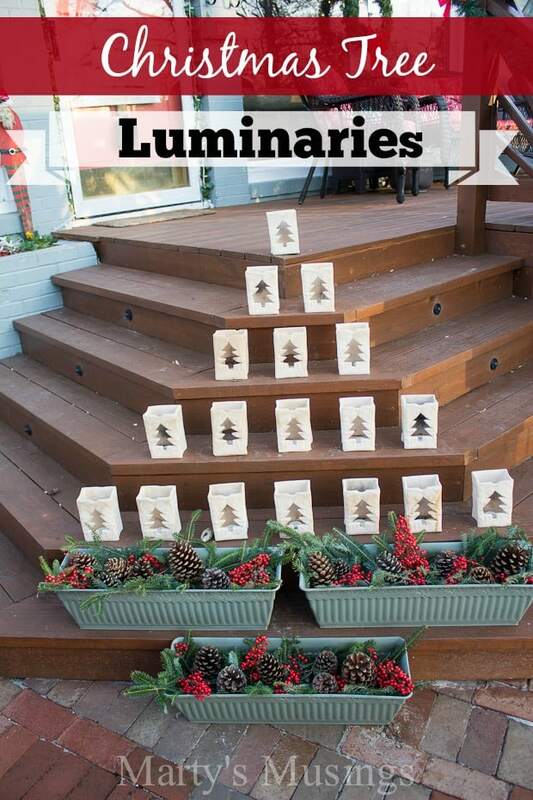 These Christmas tree luminaries and other inexpensive decor ideas will encourage you! 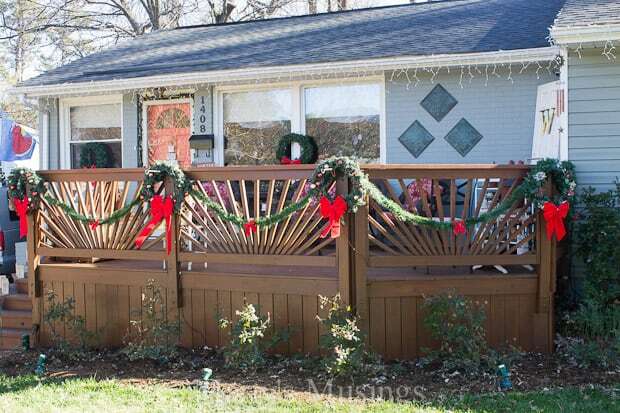 This was our first year decorating with the new deck on the front of our house, a project people either seem to love or hate (you can read that lively discussion here on Hometalk). 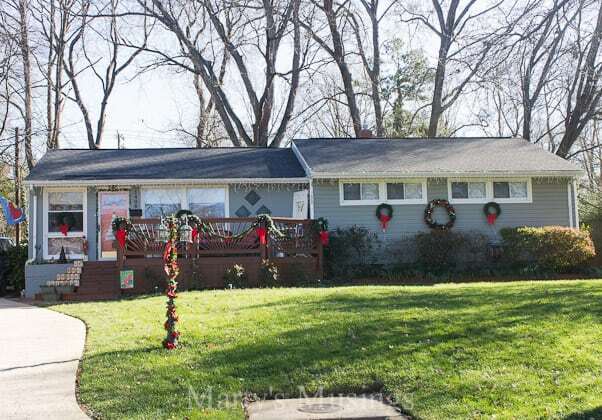 I would love to have everything perfectly decorated outside but the truth is the bows on the wreaths look terrible and are in need of replacing. The wreaths themselves need a makeover, but I just didn’t have time to decorate the outside quite like I would have desired. 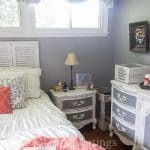 Honestly, life happened in our home (we had a big surgery and a first grandbaby in two days this week) much like it probably did in yours. 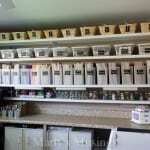 I share our projects and decorating as a way to encourage you to do the best with what you have. 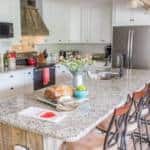 My home isn’t large or brand new but it is where my family does life together. 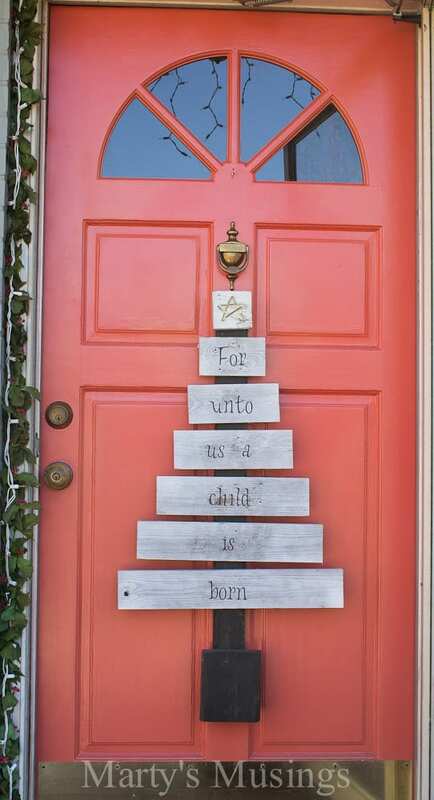 Our fence board Christmas tree replaced an old fashioned wreath and I love how it sets the tone for the true meaning of the holiday. 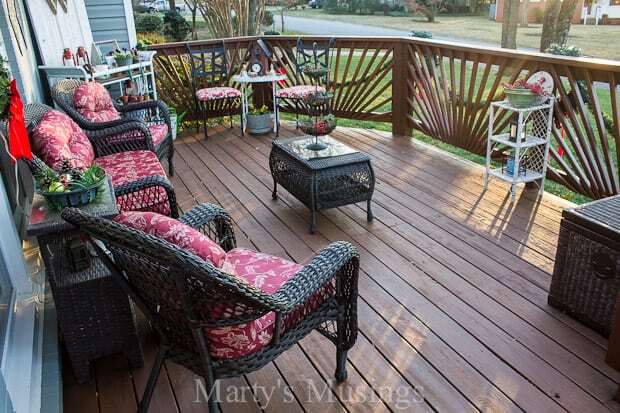 I love this view of the deck. 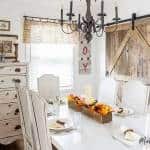 To me it just exudes a southern invitation to sit down and relax! 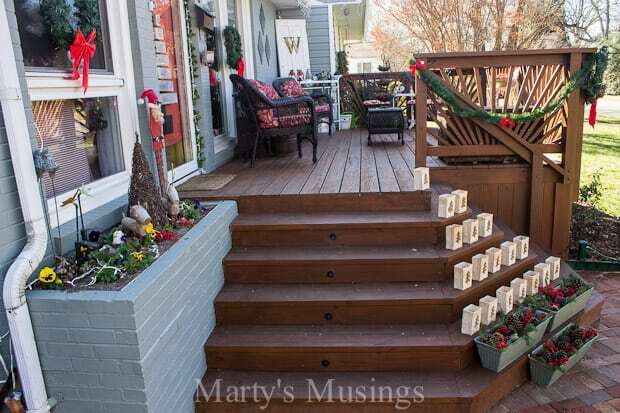 I simply added a few touches around the deck to spruce it up for Christmas. 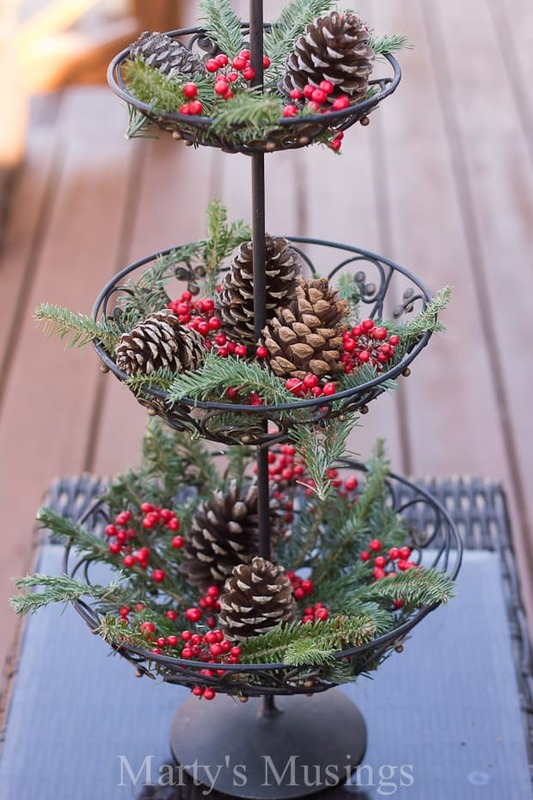 I went very a la natural with my decor this year, which you can tell by this simple 3 tiered stand filled with evergreens, pinecones and berries. 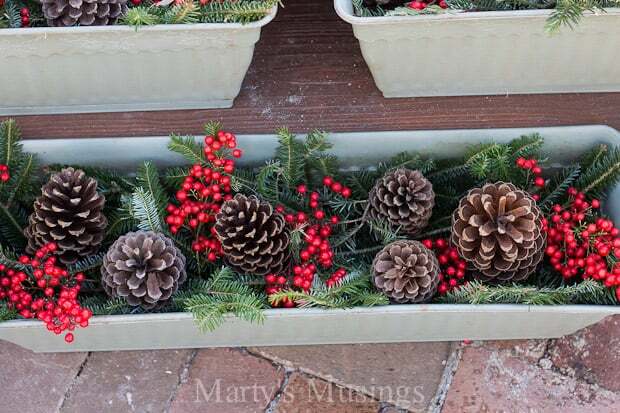 This green ceramic bowl was a favorite dollar purchase this summer and looks beautiful with some natural elements. 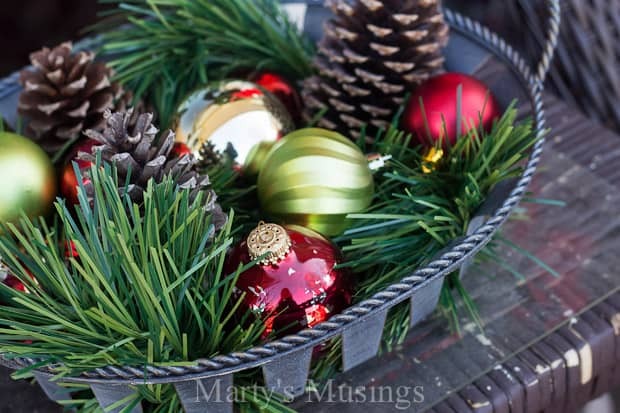 This metal basket (also a dollar yard sale purchase) also has a few inexpensive ornaments added to it. It doesn’t matter that they get rained on because the chipping paint just gives it a more vintage look. 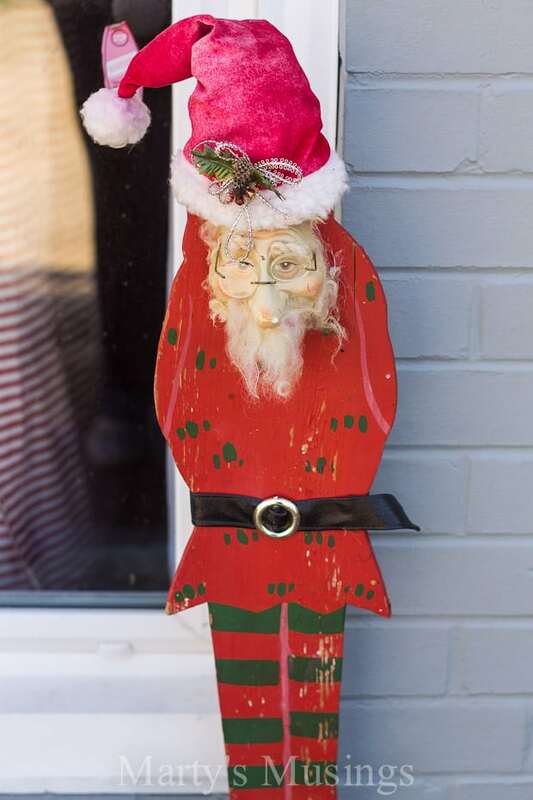 My weather worn Santa stands right beside the front door, welcoming visitors with a wise look on his face. 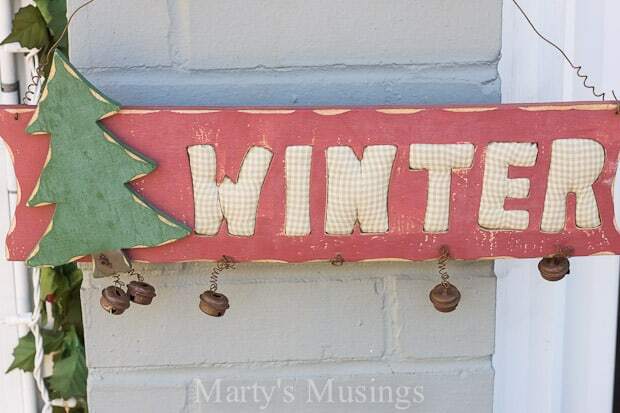 We may not have hit our real winter weather yet here in North Carolina but I know it’s coming! 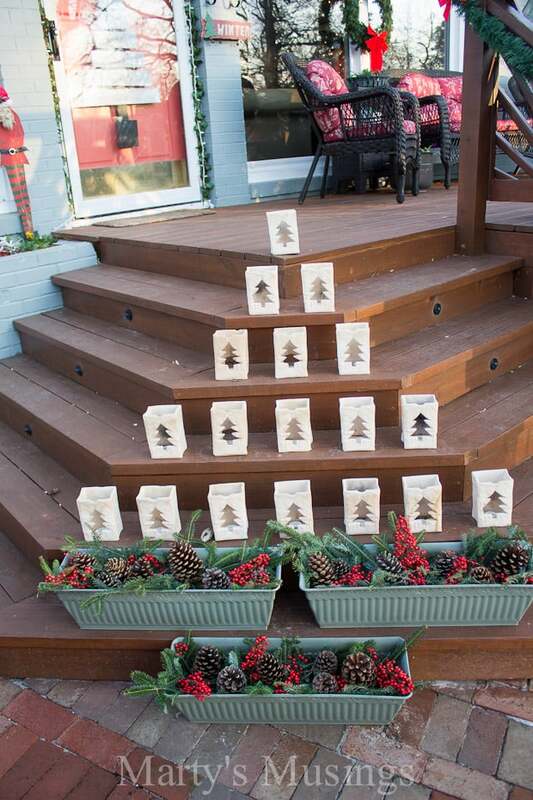 Since our center section of steps is a little bit narrower than the two side sections Tim suggested using these old Christmas tree luminaries as decoration. 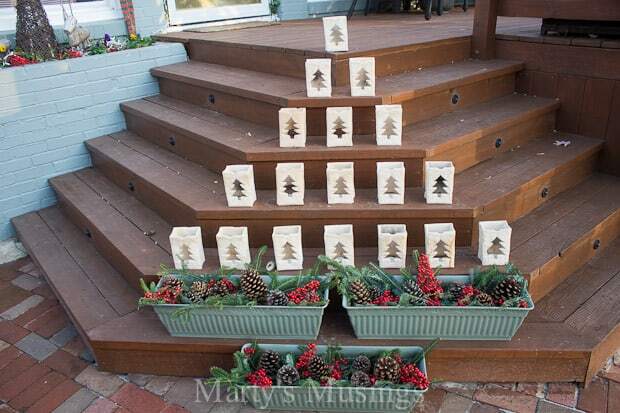 They line up perfectly in the shape of a Christmas tree and I used the green planters from this summer as a base. Again, the emphasis is on natural and I absolutely love how it “accidentally” turned out! 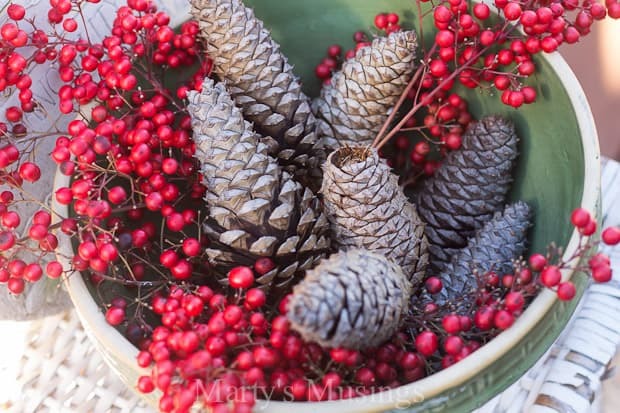 Even though life has been hectic this season I still welcomed my homeschool moms group and our Bible study small group on separate evenings. 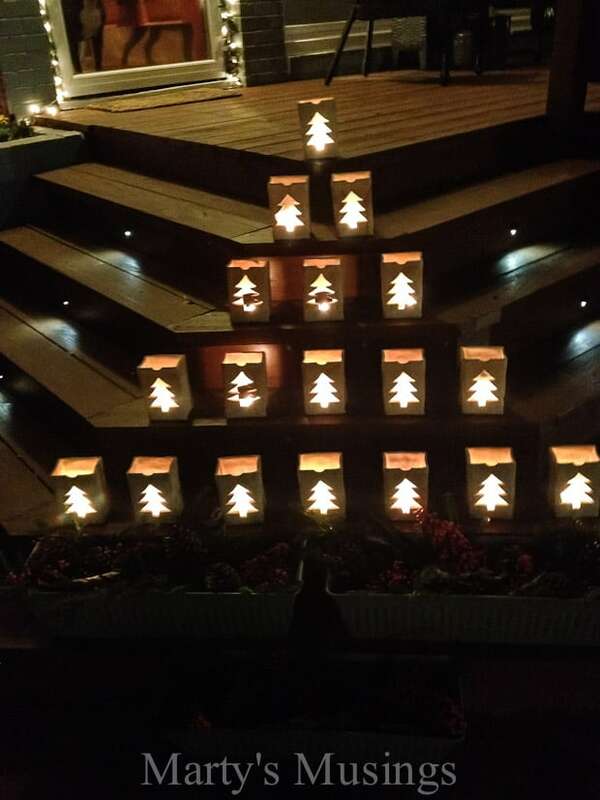 The Christmas tree luminaries guided our friends to our home to break bread and fellowship together. 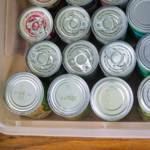 Want some additional inspiration? 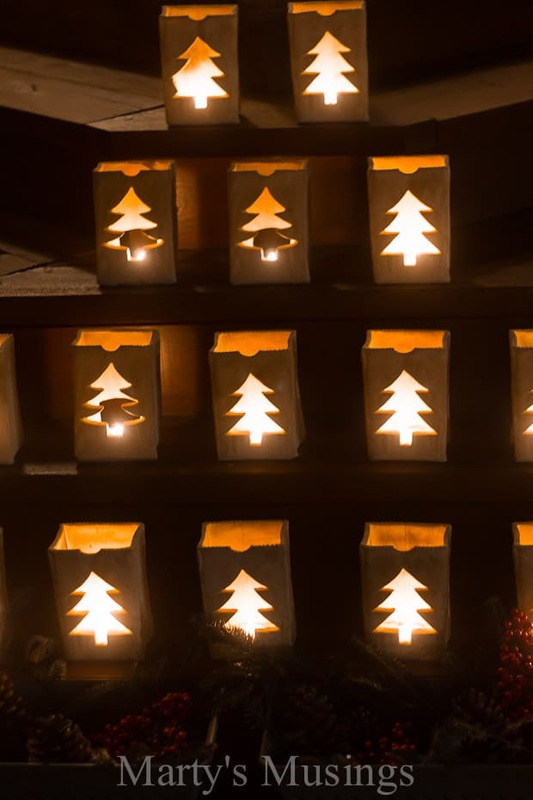 New this year is my fence board Christmas countdown, rustic wood candle holders and a 5 minute simple Christmas craft you still have time for!